Never Played the Bass by Danish singer Nabiha is featured on More Cracks the re-released edition of her album Cracks. 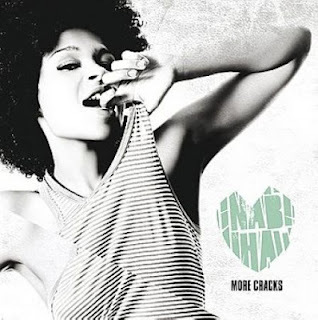 It got to number four in the Danish singles charts in 2011. I only discovered it this year and it is one of the catchiest pop songs that I've heard over the past few months especially with the fab sample of Womack & Womack's 1980s hit Teardrops that it uses. Here is the great Wideboys remix of Never Played the Bass. My Brothers is directed by Paul Fraser and is released in selected Irish cinemas on August 17th. My Brothers is set over Halloween weekend in Ireland in 1987. It tells the story of three brothers; Noel, Paudie and Scwally who set out on a road trip to replace a watch for their dying father. Along the way, in the great tradition of road movies, the three brothers meet various characters and they both bond and fight. 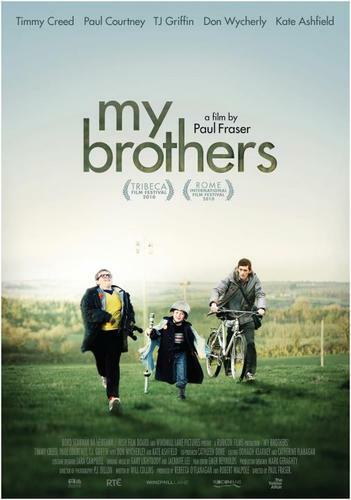 It is the first feature length film directed by Paul Fraser who has previously written the screenplays for acclaimed films such as Somers Town and A Room for Romeo Brass. He was also writer on Heartlands, a film from 2002 which was directed by Damian O'Donnell and was one that I remember really liking a lot when it was in the cinema. It starred Michael Sheen and Celia Imrie. My Brothers will screen at the Screen on D'Olier St, the Lighthouse Cinema and at Movies @Dundrum which are all in Dublin and will also screen at the Gate and the Triskel in Cork. Hopefully it will be shown in other cinemas too. The soundtrack also features original music by Jacknife Lee and Gary Lightbody of Snow Patrol. One of the great things about living in Dublin over the past few years has been the creative programming in our city centre cinemas. 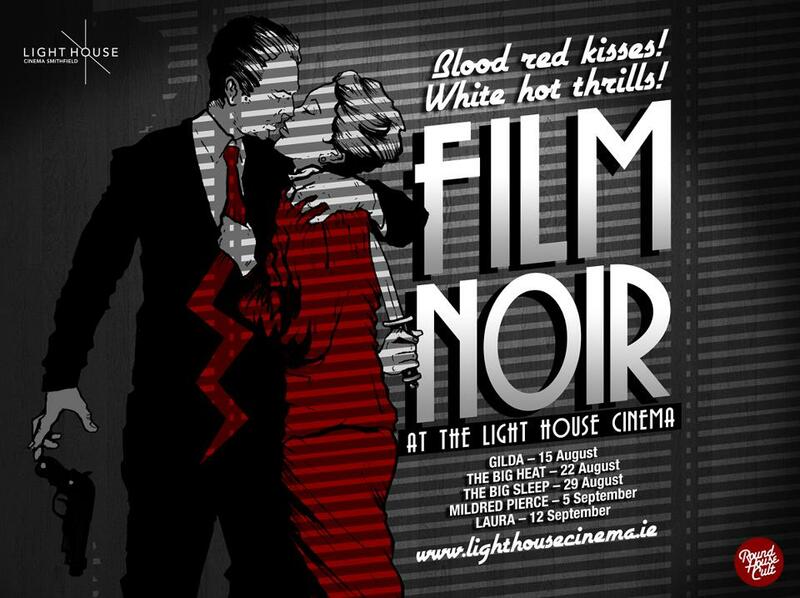 For years cinemas such as the Irish Film Institute, Cineworld, The Screen on D'Olier Street and The Lighthouse Cinema have added once off screenings of classic Hollywood and world cinema to their weekly listings. The Lighthouse Cinema was originally based in Abbey Street in Dublin. It re-opened a few years ago in Smithfield but closed down. It has since re-opened and has re-established itself as one of the most important and exciting cinemas in Ireland. This weekend I went to see several films at the Gaze film festival and the atmosphere was so brilliant. 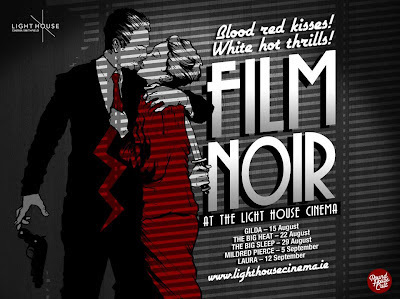 Later this month and into September there is a short Film Noir season with screenings of five classics of the Golden Age of cinema history. Admission to each of the films is €9 or €7.50 concessions or you can go to all 5 films for €30. Booking can be made in advance at the cinema's box office or by calling 01-8728006. If you are a film student or simply a fan of the best of that genre of American cinema this is a great opportunity to see these landmark films on screen. Here is also the trailers for all five films. The first is Gilda (1946) which was directed by Charles Vidor and stars Glenn Ford and most famously Rita Hayworth in her signature role. The second film which screens on August 22nd is The Big Heat (1953) which was directed by Fritz Lang and starred Glenn Ford, Gloria Grahame and Lee Marvin. The video clip below also features a montage of movie posters of The Big Heat. The third film screens on August 29th and is The Big Sleep (1946) directed by Howard Hawks and starring Humphrey Bogart and Laureen Bacall. The beginning of the trailer is wonderful. You wish marketing for movies was still like that. The fourth film is Mildred Pierce (1945) which screens on September 5th is one that was remade as a TV mini series for HBO in 2011. It is one of the ultimate Joan Crawford films. Mildred Pierce was directed by Michael Curtiz whose most famous film is Casablanca. and the fifth film in the season which screens on September 12th is Laura (1944) and was directed by Otto Preminger and starred Gene Tierney, Dana Andrews and Clifton Webb. Marcus Collins self titled debut album was released earlier this year. It features eleven tracks; eight of which are original songs including his most recent single Mercy. 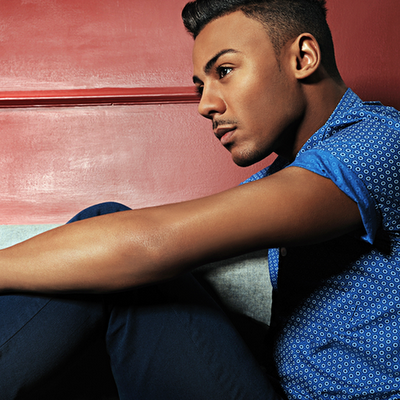 The other three songs on the album were cover versions which are Seven Nation Army his UK singles chart top ten debut solo single, his cover of (Your Love Keeps Lifting Me) Higher and Higher which he had sang on X Factor and the third song is his cover of Tightrope by Janelle Monae which was a single released from her 2010 The ArchAndroid album. While both of the other two covers suit Marcus's voice really well Tightrope is the cover I think that suits him best. I listened to it a few times again yesterday and it's really great. 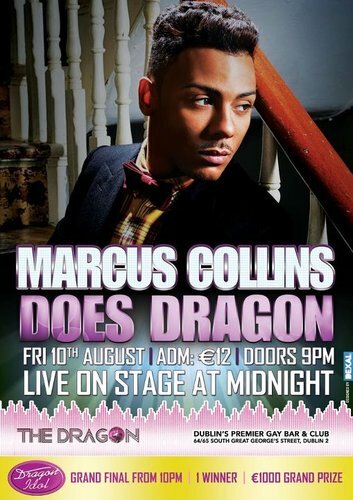 If you live in Dublin Marcus will be singing at the Dragon music club venue next Friday August 10th. Here's a poster with all the details. Here is Marcus and his cover of Tightrope.